Like most single moms, I struggle with staying positive. There are so many issues and forces that seem to be weighing against us. One thing I have found that lifts my spirits, however temporarily, is to lift other people’s spirits through Random Acts of Kindness Week. I’m shy by nature so when I give this way I don’t have to make a big deal out of it. There is no pressure on the person receiving the gift to thank me. In many cases, I keep it anonymous so they can’t thank me. When I keep it anonymous, then I don’t feel bad if the person doesn’t thank me. Sometimes life gets in the way and people are genuinely thankful but for some reason, they don’t thank me. I tend to take that personally. This way I don’t. 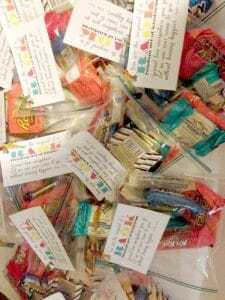 Gifts given during random acts of kindness week are inexpensive. Anyone can do this! 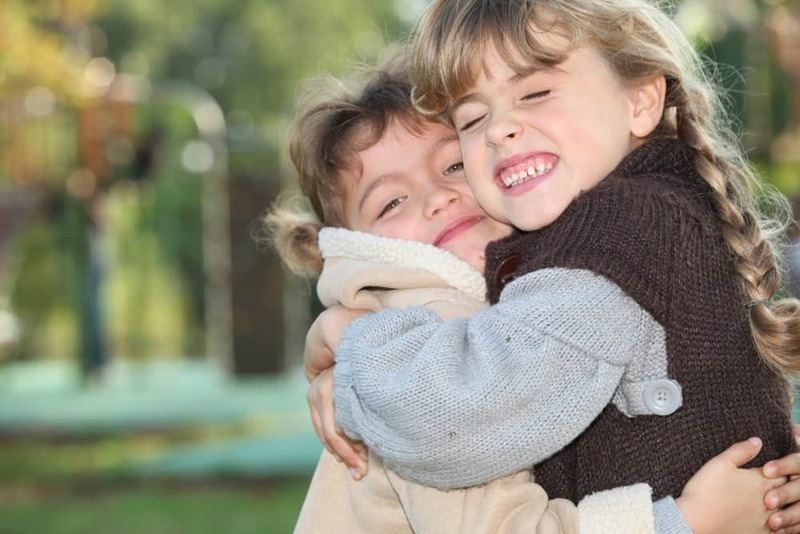 Random acts of kindness are so unexpected that it can make a huge impact on someone’s day. You never know what someone is going through. I love giving to someone I don’t know, just something small and seeing their expression. My favorite reason: I can involve my kids! I love service and giving opportunities that involve my children. You can obviously perform random acts of kindness any day of the year. I had the best 39th birthday celebrating it by performing 39 acts of kindness with my children. 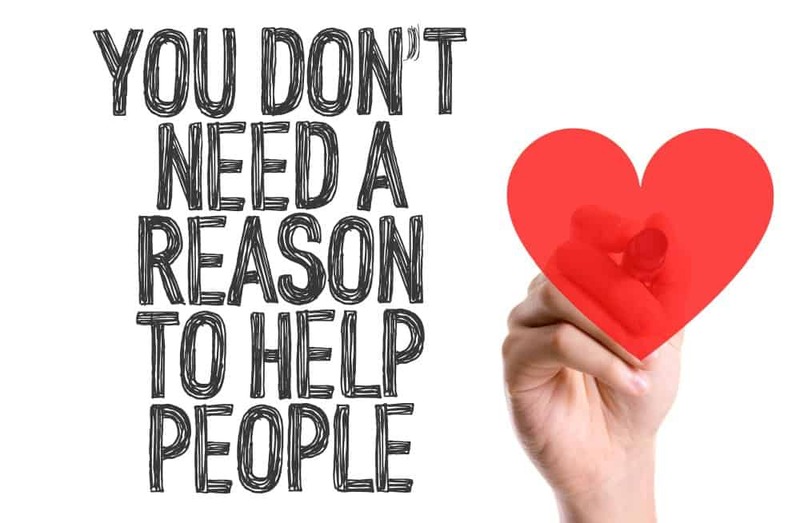 World Kindness Day falls each year on November 13th of each year. It was started by the World Kindness Movement and has a number of counties that participate. One of my favorite ways to make this an intention is by wearing the 100 Good Deed Bracelets. I bought one for myself and my children a few years ago. Each time you do a good deed for someone else you move a band around another bead until you have performed 100 good deeds. The goal is to perform 1 good deed per day. Plus the bracelets are totally stylish and just buying a bracelet is a good deed in itself! Every year the Random Acts of Kindness Foundation hosts a Random Acts of Kindness Week. It falls over Valentine’s week each year. This is where we get very intentional about performing as many RAKs (Random Acts of Kindness) as we can. Print the cards out below from my resource library. Put them on candy bars, gift cards, cookies you made with your children, crafts you made with your children, etc. Make a list of who you want to surprise on RAK week. It may include teachers, bus driver, and trash collectors. Or you may decide to really be “random” and hit the stores or street! Have your kids think of ways they can impact their school – sitting by other kids at lunch or the bus, helping kids at school, playing with someone who doesn’t normally get played with at recess. See where you can volunteer with your children or what you can give away. Involve your children. 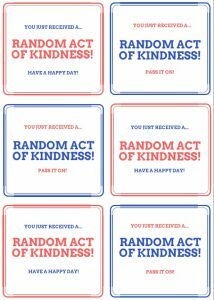 Visit the RAK Foundation blog to get some ideas of random acts of kindness you can perform. 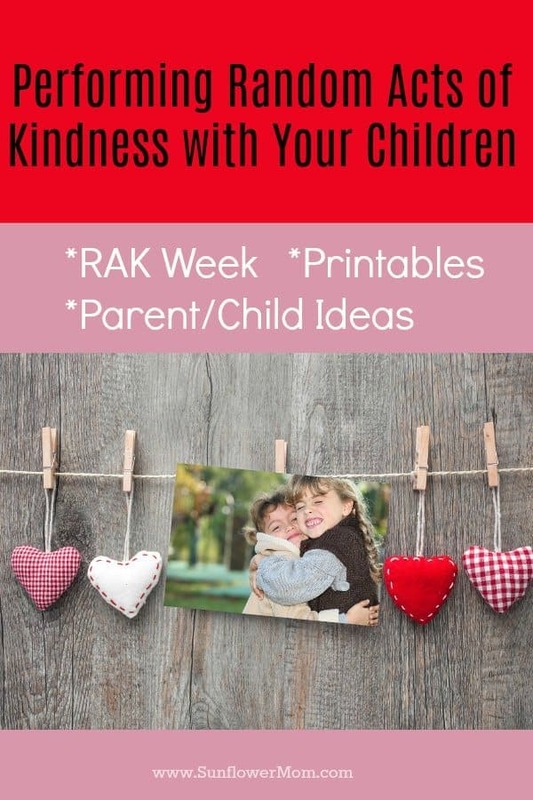 During RAK week they host challenges and give you ideas each day. Follow my Pinterest Acts of Kindness board for ideas! 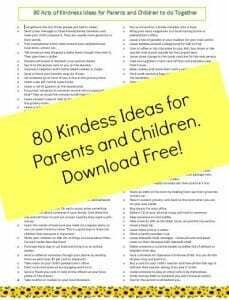 Download 80 ideas for random acts of kindness week that is appropriate for parents and children. It’s available in my free resource library.